Another very modern desgin for Suzanne McNeill's 10minute block, which is the same as a 3D Bow Tie Block. if sewn using layer cakes the block is about 19 inches square. 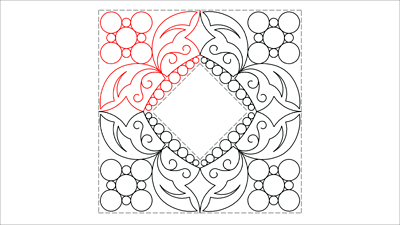 At this size the large corner circles will be 2 inches in diameter with the smallest one being .6 inches in diameter.